Mainland appetite for fried chicken helped Yum China turn a fourth-quarter profit and pushed same-store sales up 2 pct, beating forecasts. It’s still expanding fast too. That suggests a resilient bet on Chinese consumers: even as budgets tighten, cheap eats stay on the menu. A man walks past a logo of KFC, outside a restaurant in Shanghai, China, July 30, 2015. 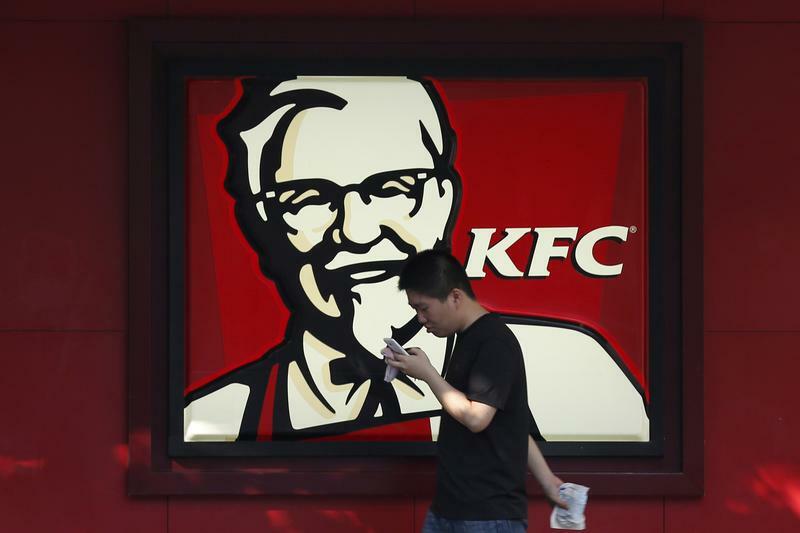 Yum China, which operates KFC and Pizza Hut restaurants in the People’s Republic, reported on Jan. 31 that its fourth-quarter revenue increased 2 percent year-on-year to $1.9 billion. Same-store sales grew 2 percent from the same period the previous year, with a 3 percent increase at KFC. However, this was offset by a 4 percent decline in same-store sales at Pizza Hut. The Shanghai-based company’s net income for the three months increased to $74 million, up from a net loss of $107 million during the same period the previous year. Yum China’s New York-listed shares were up 4.5 percent at $38.1 in after-hours trading on Jan. 31.